Over the past few months, we have had several requests for a mobile version of An Optical Illusion. We listened. Now you can view a simplified version of the site on your mobile device. At the bottom of the layout, you will also have the option to turn the new layout off and view the site in normal mode. For our mobile users out there, we would appreciate if you could pass along any bugs or glitches that you might happen to find. And now for today’s optical illusion…. While there are several different theories, vision scientists are not exactly sure why certain static images can trick our brains into thinking that they are moving. In this excellent example by Akiyoshi Kitaoka, the radial lines appear to move toward you from the eye ball in the center of the image. Don’t stare at it for too long, though – you might get a headache! 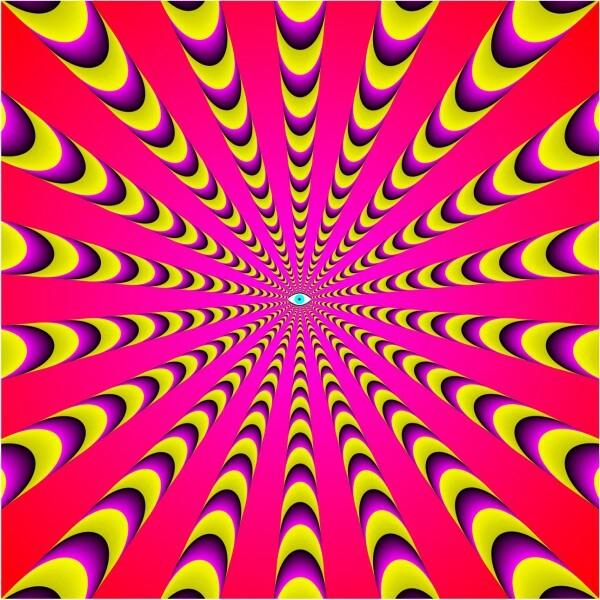 More motion illusions, like the Moving Mona Lisa Face, can be found on Akiyoshi Kitaoka’s website. Whoa hurts my head!! But pretty awesome! Check this one out, too. It will certainly make your head ache.